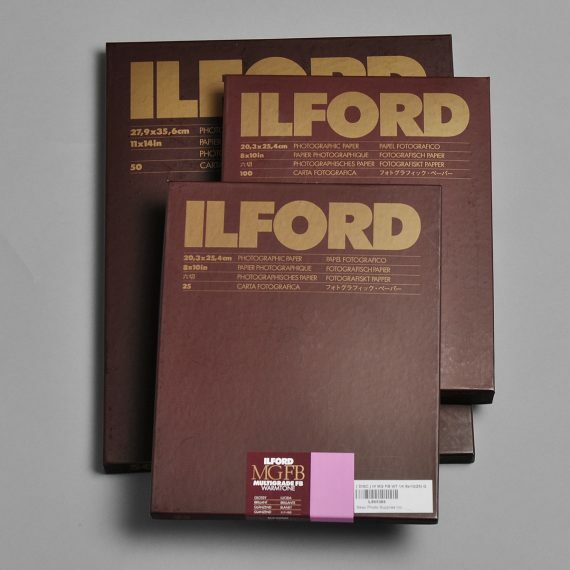 Ilford Multigrade Fibre Base Warmtone Glossy Paper | Beau Photo Supplies Inc.
Ilford Multigrade Fibre Warmtone is a 255g/m2 fibre based light sensitive paper that comes in two different surfaces, both semi-matt and glossy, for black and white darkroom printing. Warm image colour that results in warm deep blacks and creamy tones. Has a high response to toning techniques. This paper is fully compatible with all existing multigrade filters. Beau stocks 8×10, 11×14, and 16×20 in a variety of quantities.